With the duo recently signing to Universal Motown, Alter The Press! 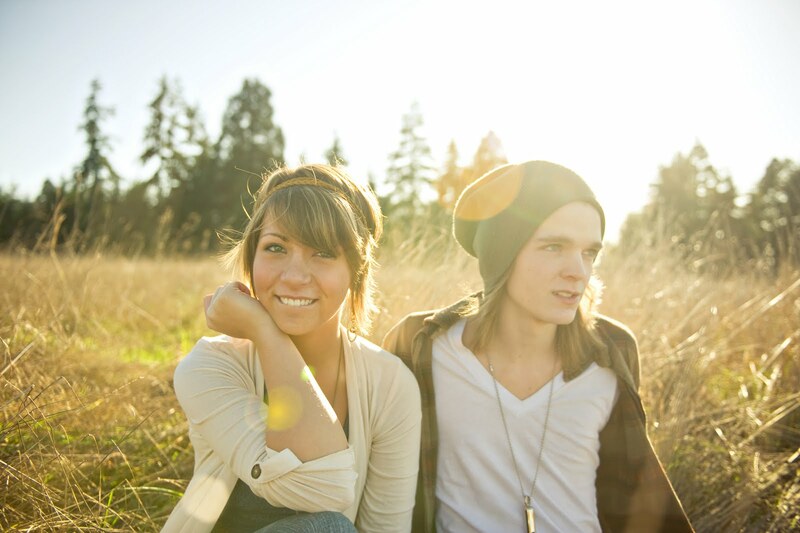 thought it'd be ideal to speak to one half of He Is We, an alternative pop duo from Tacoma, Washington. Compared to the likes Eisley and She & Him, He Is We were the number 1 unsigned artist on Purevolume.com last year and earlier this year played SxSw and Bamboozle. The duo are now working with producers Casey Bates (Chiodos, Portugal. The Man), Aaron Sprinkle (The Almost, Eisley), and Dan Romer (Ingrid Michelson) on their new album. Guitarist Trevor Kelly talked about signing to Universal Motown, what can we expect from their début full-length and more. Alter The Press! : Firstly, congratulations on being signed to Universal Motown. How does it feel to be a part of a major label? He Is We: If I had to sum it up in one word the feeling would be "surreal". It seems just like yesterday we were making YouTube vids in Rachel's basement, and now were signed and are excited to take the next step! ATP: Was the decision to move to a major an easy one to make? HIS: Absolutely! No second guessing that decision from either of us. We both agreed that music is what we wanna do for the rest of our lives, so it was a no-brainer for us both. ATP: You have an album in the pipeline - what can fans expect from this release? Does it stray at all from the 'Old Demos'? I assure you, it doesn't stray too far away from our old stuff, just more progression with the same amount of love poured into it! ATP: You come across as an incredibly humble band. How do your fans react to you in person? HIS: Fans LOVE it! From the get go, Rachel and I wanted to establish ouselves as humble musicians. It seems like musicians these days are too much about ego and social status, etc. But in reality, we're all equals. So the least we can do is play frisbee in the parking lot with fans or take them out for some Taco Bell after shows because we wanna hang out with them just as much as they wanna hang out with us. ATP: You both seem to have quite different tastes in music - what was it that brought your influences together? HIS: Fate?!?! To this day, we personally don't even know. Our tour drive mix consists of anything from Eminem to As I Lay Dying and yet we play acoustic pop and love every second of it. ATP: You likened your music to “a hot cup of cocoa on a rainy day". How important is it to you, on a personal level and to fa ns, that the songs you write remain as warm and uplifting as they are? tap your foot to. We wanted the band to define us as people and basically give people music they can relate to whether it be sad, happy, angry, the list goes on. ATP: What’s been the most moving reaction you’ve had from a fan? with his fiancé, and he got on one knee and proposed. She said "yes" for anyone wondering. ATP: Apart from the album and tour, does this year hold anything else for He Is We? it comes and turn it into an experience we'll never forget. He Is We's full-length début will be released on Universal Motown before the end of 2010.